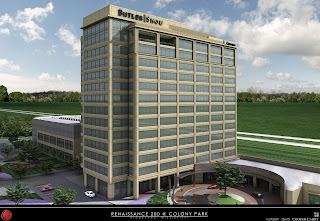 The purpose of this Blog is discuss opinions and issues related to the planned 200 Renaissance Office Building at Colony Park... A 13-story office building and parking area. Please click on comments to read posts and provide your comments. APPEAL STATUS: Judge Upholds Highrise! RESIDENTS are getting ready for what they hope will be the final legal battle over the construction of a 13-story tower near Highland Colony Parkway in Ridgeland. About four months after a Madison County circuit judge upheld the city’s decision to allow the 200 Renaissance Building to go forward, the circuit clerk’s office has notified both parties that the court record is ready for review. “Once we review the file, the attorneys for H.C. Bailey will have 10 days to review it,” said Steve Smith, an attorney representing the group known as ZONE, Zoning Ordinances Need Enforcement, the group opposed to the tower. After both parties have reviewed the 2,000 pages of legal records, the circuit clerk will send it to the Mississippi State Supreme Court. Court officials will then put the case on the docket and send out a briefing schedule. Smith expects the court to send out the schedule in February. ATTORNEYS ON both sides of the case say they’re confident the court will rule in their favor. “We will be arguing that Ridgeland was correct in making their decision,” said James Peden, an attorney representing the city and developer H.C. Bailey in the case. “The legal burden on the protestant was that they had to show that the city’s decision was arbitrary, capricious and unreasonable, and the circuit court ruled that they didn’t meet that burden,” he said. In late September, Judge Samac Richardson ruled the special exception variance granted by the city in 2007 was “fairly debatable,” and that the mayor and board of aldermen are better situated than the court to determine zoning needs for the city. Smith said the ruling didn’t discuss any factual scenarios included in ZONE’s appeal. In May, 33 residents filed an appeal asking the court to reverse the city’s decision. Despite the variance requests granted by the city, Smith said the tower is still in violation of Ridgeland’s zoning ordinance. Once it’s completed, the facility will be 13 stories high with roughly 325,000 square feet of space, three times as much as allowed in areas zoned for C4 development, he added. The property also limits buildings to four stories. The tower, he said, would be more than three times that. Peden, however, countered Smith’s argument, saying the floor area ratio under the ordinance didn’t apply to buildings over four stories tall. DESPITE THE fact that the high court hasn’t ruled on the tower’s fate, work on the $60 million project continues. “Work is on schedule and contractors are forming the roof as we speak,” Bailey said in a telephone interview last week. “We will go into full construction inside shortly.” Windows on several lower floors have already been installed. The facility is slated to open in October, along with a six-story parking garage to accommodate an increase in traffic. Bailey also has a positive outlook as the case against him goes to the high court and isn’t worried about having to tear the massive facility down. Once completed, the building will be home to the Butler Snow O’Mara Stevens and Cannada law firm, Horne CPA, and the corporate headquarters for Regions Bank. Those three tenants, he said, will take up a majority of the building’s 13 floors, but said space on four floors is still available. Bailey initially told the board that some of the tenants wouldn’t move into the facility if it didn’t have 17 floors, but later backed off the claim. In December 2007, Mayor Gene McGee cast the tie-breaking vote in the city’s 4-3 decision to approve a variance request to build the tower. Bailey altered his original plan from 17 to 13 stories as a compromise with those opposing it. At a public hearing two months earlier, the board authorized an exception to allow the 13-story tower in an area zoned for buildings no taller than four stories. SMITH SAID he’s asking the court for oral arguments before a panel of three justices. “I want to make sure the justices and clerks understand the seriousness of this situation,” he said, referring to a case in the city of Hattiesburg. In Drews v. the city of Hattiesburg, the Supreme Court overturned the city’s decision to allow a developer to erect a medical office building more than six times larger than allowed under city ordinances. According to the Supreme Court’s Web site, Lee Medical Development owned six lots of land that were originally sized for residential housing adjacent to a hospital. “Lee Medical requested six variances to the city’s zoning ordinance in order to build a 60,000 square foot medical office building, of which the hospital intended to lease a major portion.” But under the city’s zoning ordinance, buildings in the area were limited to 10,000 square feet under one roof, the Web site states. The court ruled that issuing a variance for such a request constituted spot zoning and was therefore illegal. In addition to that precedent, Smith said there are an additional 72 buildings along Highland Colony that were built four stories high. A handful of others, including the Cellular South tower and the Hyatt Place Hotel, exceed city zoning regulations. Regardless of the high court’s ruling, resident Lee Boozer, the principal at Ridgeland High and an original opponent to the tower’s construction, said he has learned to accept it. He and his wife, Belinda, can see the tower from their home in the Red Eagle subdivision. With nearly $400 million spent on developing luxury retail and office space along Highland Colony Parkway, developer H.C. "Buster" Bailey went before Ridgeland city officials this week to attempt to maximize his reimbursement from the city for out-of-pocket infrastructure expenses. In a 5-2 vote, the Ridgeland Board of Aldermen on Tuesday agreed to a 20-year term on $35 million in municipal bonds, which will be issued to pay back Bailey and his co-developers for roadwork, traffic signals and other infrastructure improvements associated with the development. While most of the board supported a 20-year repayment period, other board members favored a truncated schedule of 15 years, saying the city may not be able to generate enough tax revenue from the development to support a longer payment schedule. Known as "Colony Park," the mixed-use commercial development stretches from Old Agency Road to Madison Avenue along Highland Colony Parkway, which is easily accessible from I-55. 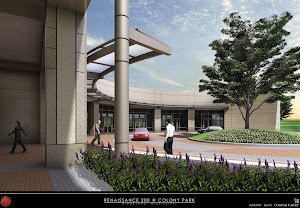 The development, which is still under construction, entails upscale retail mall Renaissance at Colony Park, mixed-use lifestyle center The Township at Colony Park and three office parks. Tenants like the Butler Snow law firm, Cellular South, Ruth's Chris Steak House and Ann Taylor clothing have made Colony Park their home. Bailey and his co-developers Andrew Mattiace and Jim Barksdale took up the cost of the related infrastructure improvements with the expectation that they would be reimbursed by the city through Tax Increment Financing, a public financing method in which municipalities use future gains in taxes to pay for improvements. 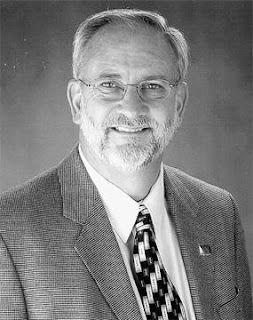 Ridgeland City Clerk David Overby said municipalities are normally responsible for a new development's associated infrastructure costs. "But if the developer puts those things in, then he qualifies for TIF," Overby said. Like other TIF projects, Colony Park is expected to generate increased tax revenue. Overby said the city plans to reimburse the developers with the increased revenue, which will be used to cover the costs of repaying the bonds. Four years ago, the city made an agreement with the developers that stated the city would reimburse them about $35 million over a period of up to 20 years. During meetings this week, some board members appeared hesitant about OK'ing a proposal from the developers that asked the city to firmly agree on a 20-year bond repayment period. Alderman-at-Large Gerald Steen said he favored a repayment period somewhere along the lines of 15 years, saying the city would end up deep in debt if the development did not produce enough tax revenue to pay the bond holder over a longer, 20-year period. Bailey said anything less than 20 years would negatively impact future plans for Colony Park, which is not even halfway complete. "It burdens the development plan by reducing by about $5 million the amount of money available to go forward (with construction)," Bailey said. Even so, some on the board also said they were uncomfortable agreeing to a 20-year period without knowing what kind of interest rate will be tacked onto the bonds. A longer repayment schedule also would carry a higher interest rate. "A high interest rate does indeed have a long term impact" on the city's ability to honor payments, said Alderman Ken Heard. In an attempt to ease fears, Demery Grubbs, the city's financial counselor, assured the board the city could afford to issue its first bond this year for about $22 million of the $35 million promised based on actual and projected tax revenue from Colony Park. The city likely will issue one additional bond in order to reimburse the developer the remaining $13 million, Overby said. According to the developers' numbers, property and sales taxes from Colony Park have generated about $1.3 million in additional tax revenue for Ridgeland in only four years. Bailey said the developers have spent $390 million constructing Colony Park's nine office buildings with more than 900,000 square feet of space, two hotels, seven banks, more than 500,000 square feet of retail space and nine restaurants. The development is about 40 percent finished, Bailey said. "We have a lot more to do." Just to let you know, Judge Richardson ruled on the lawsuit on the 13 story building. The ruling is in favor of the city of Ridgeland, therefore the decision made by the board of alderman is affirmed. In Ridgeland’s mayor and Board of Aldermen meeting tonight, aldermen will consider modifications to the plans for a parking garage for a controversial 13-story office building. The building, also known as 200 Renaissance, is located in mixed-use development Renaissance at Colony Park on Highland Colony Parkway. According to the minutes of the city’s Architectural Review Board meeting Aug. 26, 200 Renaissance developer Buster Bailey proposed a “green screen” system in lieu of the previously approved metal perforated screen panels to be placed around the garage. The green screen will be a system of metal trellises attached to the exterior of the garage. Vines are to be planted at the base of the system and will cover the trellises over time. The original metal screen was designed to screen cars from view and provide air circulation. Bailey said the green screen will function in the same way but will also make the parking garage more aesthetically pleasing. Bailey and the city are currently involved in a heated court battle with a group of residents calling themselves Zoning Ordinances Need Enforcement over the 13-story building. The city approved the building in October 2007, issuing a height variance and conditional use permit to allow the building to be built higher than four stories. Four stories is the maximum building height allowed by the city. ZONE dislikes the building’s tall height and wants the ongoing construction process halted. Bailey supporters contend the building will bring upscale tenants into Ridgeland. Lawson Hester, a ZONE attorney, expects Madison County Circuit Court will make a decision regarding the building in the next several weeks. 200 Renaissance will house the employees of Butler, Snow, O’Mara, Stevens & Cannada law firm, the Horne CPA Group and Regions Bank’s corporate headquarters. The building will be ready for tenants to move in during the fall 2009, Bailey has said. Developers of a 13-story building are trying to throw out a group of Ridgeland residents’ appeal of the city of Ridgeland’s decision to approve the controversial building back in October. Madison County Circuit Court will hear the motion Aug. 11. 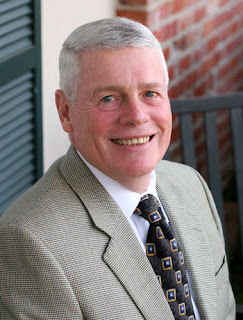 The motion, filed by attorneys for building developer H.C. “Buster” Bailey, asserts the appeal lacks standing because the appellants, mostly residents of Ridgeland who call themselves “Zoning Ordinances Need Enforcement,” do not live closely enough to the disputed structure to be able to challenge it. “So, he’s basically saying that no resident of Ridgeland can appeal the city’s decision to approve his building. Outrageous,” said Janet Clark, an appellant and a founding member of ZONE, who will be able to see the building from her Rolling Meadows Road home. Bailey is out of town and could not be immediately reached for comment. The 13-story building, also known as 200 Renaissance, is under construction at I-55 and Steed Road near the upscale Renaissance at Colony Park mall. For more than a year, the building has been a point of tension between the city, Bailey and ZONE. The later dislikes the building’s tall height and has accused the city of breaking its own zoning ordinances. The ordinances set the height limit for Ridgeland buildings at four stories, but developers were granted a height variance and conditional use permit by aldermen in a lengthy public hearing in October which allows them to take the building higher than four stories. Bailey was not named in ZONE’s appeal that swiftly followed the city’s approval decision, but Bailey’s lawyers have intervened to try and get the appeal dismissed. Bailey’s written motion contends that ZONE’S appeal should be tossed due to “lack of standing by the individual appellants” because they don’t own the property nor live within 160 feet of the building. The city’s original deadline to answer ZONE’s appeal was July 7, but the court has stayed the briefing schedule pending the outcome of the motion to dismiss, said Ridgeland City Attorney Jerry Mills. 200 Renaissance will house the employees of Butler, Snow, O’Mara, Stevens & Cannada law firm, the Horne CPA Group and Regions Bank’s corporate headquarters. The building should be ready for the tenants to move in from downtown Jackson by fall 2009, Bailey has said. 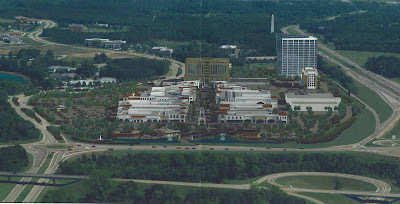 INDUSTRY EXPERTS SAY Renaissance at Colony Park will have a positive effect on residential property values west of Highland Colony Parkway, but a member of a Ridgeland advocacy group maintains the mixed-use development will eventually lessen the quality of life in that area. Last December, Mayor Gene McGee cast the tie-breaking, 4-3 vote to approve a variance request to build a $70 million tower at 200 Renaissance. Bailey altered his original plan to build 17 stories as a compromise with those opposing it. City officials in October authorized an exception to allow the 13-story building in an area zoned for buildings no taller than four stories. And although it opposed Ridgeland granting a height variance from four stories to six to Hyatt Place Hotel in March, ZONE did not appeal that decision. Instead, it has turned its focus on 200 Renaissance, where Regions Bank, Horne CPA Group,S and Butler, Snow, O’Mara, Stevens and Cannada Law Firm are expected to move notwithstanding Madison County Circuit Court action to block construction. But Mark Frascogna of Neopolis Development Group of Flowood said he expects Renaissance and the residential area west of Highland Colony Parkway to coexist n and thrive. Neopolis is the developer of Lost Rabbit in Madison. Renaissance, which opened several months ago, is on Old Agency Road west of I-55. In Colony Park, the mixed-use development is among four others on the parkway that extends from West County Line Road in Ridgeland to Mississippi 463 in Madison. Concourse, Quorum and Crescent are office parks. Township is another mixed-use development. Subdivisions west of the parkway include Canterbury, Windrush, Old Agency Village, Carlton Park and Dinsmor. Homes also line Rolling Meadows Road. Clark said residents are considering creating guard houses as commercial development continues near the parkway. That community, though, probably won’t see their neighborhoods deteriorate, Project Manager Nathan Gaspard of Moore Planning Group said. MOORE PLANNING GROUP drafted Ridgeland’s master plan that calls for redeveloping seven areas of the city, including the Northpark district, where aging subdivisions are deteriorating and retailers there are moving to Renaissance and to other retail hubs. That scenario is common in similar areas around the United States, Graspard said. In Ridgeland’s master plan, Moore Planning Group recommends connecting Northpark and those residences. “The resulting interactions, we feel n and research confirms n will help lead a revitalization of those neighborhoods,” Graspard said. The firm attributed the decline in the Northpark district to the age and character of the homes and few public amenities. Those are problems higher-end homes near the parkway don’t have, and thus owners won’t have to worry about their property values decreasing, realtor Karen Newsom said. And that’s to be expected, Frascogna said. Madison County District 3 Supervisor D.I. Smith, who is the on-site property manager at Dinsmor, said prospective residents prefer to live near the parkway . As officials in Madison County prepare to build three interchanges on I-55 between Ridgeland and Gluckstadt over the next seven years, traffic congestion along and around the parkway is not expected to be a factor for residents in the area’s subdivisions. The Mississippi Department of Transportation plans to build a $150 million split-diamond interchange to relieve traffic from Old Agency to Mississippi 463. Madison County is set to build interchanges at Reunion Parkway and at Gluckstadt, and construction is expected to be complete by 2013. AN ATTORNEY FOR A GROUP opposing the construction of a 13-story building at Renaissance said ZONE is preparing for a briefing in Madison County Circuit Court and that it will not appeal Ridgeland officials’ decision to grant a height variance to Hyatt Place Hotel at the mixed-use development. Regions Bank, Horne CPA Group and Butler, Snow, O’Mara, Stevens and Cannada Law Firm are expected to move into the Renaissance offices notwithstanding court action to block developer Buster Bailey from building the structure at 13 stories. Last December, Ridgeland Mayor Gene McGee cast the tie-breaking, 4-3 vote to approve a variance request to build the $60 to $70 million tower. Bailey altered his original plan to build 17 stories as a compromise with those opposing it. City officials in October authorized an exception to allow the 13-story building in an area zoned for buildings no taller than four stories. ZONE appealed the decision and has threatened to file a lawsuit preventing Bailey from creating an overlay district at Renaissance, claiming he would use the district to minimize public input on how properties at Colony Park are developed. COLONY PARK EXTENDS south from Old Agency Road north to the Madison city limits. An overlay district already has been created at The Township, a planned mixed-use community along Highland Colony Parkway at Steed Road. Generally, overlay districts add to provisions of underlying zoning and apply to specific corridors and ensure needs of such areas are met. Ridgeland’s other overlay district is at Old Towne, on West Jackson Street. Smith said ZONE members had not explained why they did not want to appeal Ridgeland’s decision on Hyatt after they repeatedly threatened to do so. Ridgeland officials deny the allegations, claiming exceptions have been made on a case-by-case basis in the best interest of the community. Aldermen’s vote March 18 followed a unanimous vote days earlier by the city’s Zoning and Planning Board to allow Hyatt Place to build six stories instead of four. Hyatt sought a conditional use permit to build six stories instead of four, the maximum height for buildings in that area of Colony Park. The hotel had already been built to six stories before the variance was requested. ZONE member Janet Clark said before the March 18 vote the group would file an appeal if aldermen accepted the Zoning Board’s variance recommendation. However, no ZONE members attended the board meeting and no one opposed officials’ decision. Members of the Ridgeland Planning and Zoning Board voted Thursday to recommend that city officials approve a special exception and conditional use permit for a six-story hotel. In a unanimous decision, the zoning board recommended the petition for Hyatt Place Hotel be approved by the Board of Aldermen. The earliest aldermen can consider Hyatt’s petition is March 18, at their regularly scheduled meeting, city Community Development Director Alan Hart has said. Located in mixed-use development Renaissance at Colony Park, hotel construction is ongoing and is expected to be complete this fall. The special exception and conditional use would allow developers to build the hotel higher than four stories tall, which is the maximum height allowance on a building in a C-4 zone. Site plans for Hyatt were first approved by the zoning board in May 2006, but the meeting did not meet the criteria for a public hearing because there was no public notice -- making Thursday’s public hearing necessary. Renaissance developer H.C. “Buster” Bailey said he was optimistic about the outcome of Thursday’s hearing since an exception was granted unanimously by the zoning board in 2006. RIDGELAND - A comprehensive plan for the Colony Park development along Highland Colony Parkway is in the preliminary stages after developer H.C. 'Buster' Bailey held meetings with city aldermen recently to discuss the matter. The plan, which could become an 'overlay district' similar to the Olde Towne development on Jackson Street, could govern everything from building height to landscaping, green space and traffic control and could be ready by early summer, according to Mayor Gene McGee. The goal would be to create strong but flexible guidelines for smart development in Colony Park, a $500 million, 450-acre development that stretches from Old Agency Road to Lake Castle Road along the Parkway. But some residents living west of the Parkway, many of whom opposed the 13-story office building at 200 Renaissance developed by Bailey and approved last year, remain skeptical about Bailey's willingness to open up such a plan to public input and debate. Bailey initially raised the idea of creating a comprehensive plan for Colony Park last October, after the 13-story building set to house the Butler Snow law firm and Horne CPA Group was"
RIDGELAND - A new dispute over the height of the future Hyatt Hotel at the Renaissance development could be incorporated into a pending appeal of a controversial 13-story office building. Lawson Hester, an attorney working on behalf of city residents appealing the city's approval the 13-story building at 200 Renaissance, said the March 6 public hearing on the height of the Hyatt Hotel makes it clear that the city has continued to show disregard for its own regulations and strengthens the case against 200 Renaissance. Hester and others in Zoning Ordinances Need Enforcement (Z.O.N.E.) argue that the public hearing on the building's height before the city Planning and Zoning Commission is meaningless window-dressing. 'On the one hand, you have the city violating its ordinances to allow the construction of a building, and you have the city on the other hand allowing the building to be built without any approval,' Hester said. He indicated that if the city ended up approving the conditional use for the Hyatt's height, the decision would be appealed. Mayor Gene McGee, however, claims the March 6 hearing is an attempt"
What do you think about the Hyatt Place issue? Post your comments regarding the Hyatt Place height variance... Scroll down to Table of Contents to send an email to the Mayor and Aldermen. The Hyatt Place Hotel public hearing will be held at 6 p.m. March 6 at Ridgeland City Hall. Hyatt Place Hotel representatives are seeking a special exception conditional use permit from the city of Ridgeland to continue building their six-story hotel at mixed-use development Renaissance at Colony Park. But they'll have to go through members of Zoning Ordinances Need Enforcement first, say the group of Ridgeland residents opposed to the hotel. ZONE members say Hyatt representatives did not undergo proper procedure for a special exception to allow the building to be built more than four stories tall, which is the maximum height allowance for a building in Ridgeland in a C-4 zone, according to the city's zoning ordinances. The public hearing on the special exception for the hotel will be held at 6 p.m. March 6 at Ridgeland City Hall. Construction on the hotel is ongoing. It's among 75 acres of restaurants, retail sto"
Opponents of a controversial 13-story building are appealing a Tuesday evening aldermen vote that approved the building design plans. With Ridgeland Mayor Gene McGee casting a tie-breaking vote in the absence of Alderman Linda Davis, the design plans were approved 4-3 after an aldermen who favored the plans asked the board to reconsider its earlier 4-3 vote of disapproval. Lawson Hester, an attorney who opposes the building, said opponent’s are appealing because it’s unlawful for a member of the losing side to make a motion to reconsider a final vote. But City Attorney Jerry Mills maintains the board has done nothing illegal. Aldermen who voted against the design said their chief concern about developer Buster Bailey’s design plans was a 7-level, 67-foot-tall parking garage to be built next to the office building, 200 Renaissance. The building, pinpointed for I-55 and Steed Road, is to house the employees of Butler, Snow, O’Mara, Stevens & Cannada Law Firm, Horne CPA Group and Regions Bank. After the original vote of disapproval and an executive session, Davis made an abrupt exit. In addition to appealing in Madison County Circuit Court on the basis of Robert’s Rule, Hester said petitioners will challenge the board vote on the grounds that the city zoning ordinance does not properly address height limitations on parking garages. The office building has been a point of conflict in Ridgeland for months because of its original 17-story height design, among other things. Some residents said they felt the design was not in keeping with a “Mediterranean feel,” the theme of the surrounding development. Bailey, in an effort to appease the opposition, moved parking levels to knock the building down to 13 stories. The initial 17-story “glass wedge” building was also redesigned by decreasing the amount of glass surface by 25 percent by increasing the amount of concrete paneling. Aldermen granted a special exception in October to allow the 13-story building in an area zoned for buildings no taller than four stories. Some residents, including Hester, have appealed the aldermen’s October vote and are awaiting a court ruling. Hester said opponents’ latest appeal may become part of the original appeal. He said it will be filed within 10 days of the Tuesday vote. Bailey has said construction will move forward, regardless of an appeal. Construction on 200 Renaissance may begin as early as next week, he said. Pile tests and preliminary work have already been performed, and construction on the $60 million building will take about two years to complete. Tenants plan to move into the building from downtown Jackson by October 2009. The high-rise at Renaissance was almost undone over a dispute about the height of its parking garage, but it survived after the unexpected departure of a city alderman and should begin construction in two weeks. Ward 6 Alderman Linda Davis originally motioned to approve the design of the 13-story building at 200 Renaissance but reject the parking garage. This move would have killed the entire project, according to Renaissance developer H.C. "Buster" Bailey, because of a lack of adequate parking space. Following an executive session and a discussion with Bailey, Davis did not offer her motion again. Instead, she left the meeting room, leaving a vote in the hands of Mayor Gene McGee. Her decision counted as a recusal from the vote. McGee and three other aldermen voted to approve the design of the high-rise and the parking lot. The vote cleared the way for the construction of the 13-story building that is set to house offices for the Butler Snow law firm, the Horne CPA Group, and Regions Bank. Reached by phone after the meeting, Davis said she felt the design changes to the high-rise were positive and made the building blend in more convincingly with the rest of Renaissance. But she also said she had not expected the 1,066-space garage to be 67 feet high after seeing drawings earlier. Bailey reported this height to the board on Tuesday after initial reports on Monday that it would be 80 feet high. "I was hoping there would be some way we could reduce it, maybe go with some underground parking," she said, "but it just became apparent in the executive session that that was not going to be an option." Davis said she thought the garage, which is directly to the north of the building, should only be four stories tall, within the limitations she thought appropriate for development on Highland Colony Parkway. Ultimately, however, Davis could not reconcile her feelings about the high-rise and the garage. "I couldn't in good conscience vote for either side," Davis said, explaining her decision to leave the board room. She said she suspected McGee might vote in favor of the design once she left, but said she had no prior knowledge about how he would vote. Asked about people who might criticize her recusal, Davis responded, "I would tell them to please try to withhold judgment until they have walked in my shoes." She said she received thousands of e-mails about the high-rise and met for more than 80 hours about the building, in addition to receiving dozens of phone calls. Outside the board room, Bailey said he was pleased by the board's decision. "Construction will begin in the next week or two," he said. McGee said he was surprised by Davis' exit but had hoped for a consensus. "I would like to have seen this one out with a unanimous 7-0 vote," he said. The basic concept for the high-rise was approved at a six-and-a-half hour public hearing on Oct. 10. Davis was the last alderman to cast a vote, and said it was the hardest decision of her political career before voting to approve the building. At that hearing, Davis also requested Bailey make design changes to the building to conform to other design elements within Renaissance. As part of those changes, the high-rise utilized more sand-colored stone and less glass. The angle of the top of the original building design was also flattened. "It does look better as far as fitting into the whole scheme of things," Bailey said on Monday. But arguments on Tuesday centered on the parking garage, and whether the earlier approval of the high-rise meant the garage should be approved as well. The structure is over the regular four-story limit permitted for buildings in city ordinances. At issue is whether the garage was a regular building and thus subject to normal regulations, or a different type of structure that could be considered contiguous to 200 Renaissance. The garage has open-air ventilation on its east and west side and therefore fell under different rules, according to Community Development Director Alan Hart. Structures with two sides that have at least 50 percent of their area ventilated to outside air are not considered buildings in the regular sense of the term. "It's not considered an enclosed building," he said. "Our zoning ordinances didn't contemplate parking garages in the first place." Ward 5 Alderman Scott Jones then motioned to approve the site plan for the high-rise and garage, but it was defeated when aldermen Ken Heard (Ward 1), Kevin Holder (Ward 3), Gerald Steen (at-large) and Davis voted against it. Davis then offered her motion to accept the building but deny the garage. Before a vote on her motion was taken, Bailey rose to address the board and said rejecting the parking garage at its present height would eliminate the possibility of the high-rise. "A vote to kill the parking structure will kill the building," he said. The board then went into executive session that was closed to the public. After Davis' departure and the 4-3 vote to approve the plans for both structures, Lawson Hester, a representative of residents who oppose the high-rise, told the board its conduct "arbitrary and capricious." "I do not think there has been proper consideration of the site plan," he said. When the parking garage's design was revealed on Monday, Hester said he was prepared to add it to the residents' appeal of the high-rise's construction. Residents filed an appeal of the aldermen's Oct. 10 vote in Madison County Circuit Court. The appeal stated that approval of the building violated the city's own building ordinances. Bailey would not comment on his plans to finance the building's construction, given that the building is under appeal and could be struck down by the court. "I consider that private information," he said. 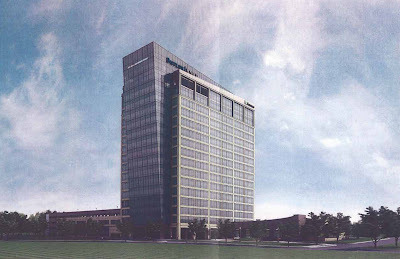 RIDGELAND — With Mayor Gene McGee casting a surprise, tie-breaking vote Tuesday night, city aldermen approved final architectural plans for a 13-story office building that has been a point of conflict in Ridgeland. Plans for 200 Renaissance appeared to have hit a snag earlier in the meeting because of a proposed seven-level parking garage, but Ward 6 Alderwoman Linda Davis abruptly left the meeting, leaving McGee to cast the final vote and pave the way for the building's construction. Buster Bailey, developer of the 200 Renaissance building near Highland Colony Parkway and I-55, said construction could start as soon as next week. The building, which will be home to the Butler Snow law firm, Horne CPA Group and Regions Bank, is expected to take about two years to complete. The tenants currently occupy the AmSouth Plaza building in downtown Jackson and plan to move to the new building by October 2009. Before the final vote in favor of the architectural plans, aldermen had voted 4-3 against the design, with Davis saying she did not approve of the parking garage. Ward 5 Alderman Scott Jones prefaced the vote by telling fellow aldermen that rejecting the plans could mean the city would lose the building and its prestigious tenants. "Before we vote, does everyone understand that?" he asked. The board later went into executive session, and when it ended, Davis immediately left. The plans were brought back up for vote after she left, leaving McGee to cast the tie-breaker in favor of the developer's plans. After the meeting, Davis said she left because she did not think she could vote in good conscience either way. "On one hand, I think this will be a good thing for the city," she said. "But I don't want to feel like I'm betraying the trust of the citizens." Other aldermen who voted against the proposals also took issue with the developer's plans for a 67-foot-tall parking structure. The city's ordinances do not regulate the height of parking garages if at least 40 percent of the structures are "open," said city Community Development Director Alan Hart. Alderman-at-large Gerald Steen said he wanted the city to review that policy before approving Bailey's request. When Bailey first presented plans for the project several months ago, he had asked for a 16-story building that included three levels of parking on the bottom, as well as an adjacent parking garage. After concerns were brought up by city officials and residents over the proposed height, Bailey retooled his project and presented new plans for a 13-story building that did not include parking levels within it. Instead, the levels of parking that had been planned as the lower levels of the building were moved on top of the existing parking garage, increasing the number of levels there. The final plans, including the parking garage, were approved unanimously by the city's Architectural Review Board last week. Bailey told aldermen the city would kill the project if the parking garage was not approved. "We've acted in good faith," he said. "We've spent lots of time and money trying to make this work." Several residents opposed to the building have filed an appeal in Madison County Circuit Court to the aldermen's 4-3 vote in favor of the height variance. Their appeal has not yet been reviewed by a judge. Dinsmor resident and attorney Lawson Hester, one of those named in the appeal, spoke to aldermen during Tuesday's meeting, saying that he represented "hundreds of citizens of Ridgeland" in opposing the building. "I do not think proper consideration has been given to these plans," he said of the six-story parking garage. He also said he did not think it was proper of the board to vote in Davis' absence. To comment on this story, call Elizabeth Crisp at (601) 942-9019. High-rise opponents could seek stay: "10/25/2007 5:00:00 AM Email this article • Print this article High-rise opponents could seek stay By ANDREW UJIFUSA Assistant Managing Editor It may cost the residents appealing the Renaissance high rise decision $75 million to stop actual construction from proceeding on the 13-story building. Those in opposition to the building, which was approved by the city of Ridgeland on Oct. 11, filed an appeal last Friday in Madison County Circuit Court. These appellants can also request that a judge issue a 'stay order' to stop construction work at the building's proposed location on Steed Road near Interstate 55 southbound. Such an order, however, would require the appellants in the case to post a bond, which could be set at 125 percent of the project's cost, estimated at $60 million. Dinsmor resident Lawson Hester, a member of Zoning Ordinances Need Enforcement (Z.O.N.E.) and an attorney who has been working with residents appealing the city's decision, said that a $75 million bond would be impractical. But he also said that it is up to the court to decide if such a large bond would be imposed on residents who are party to the appeal. 'There's no proof in the record of the value of this building for the purpose of appeal,' Hester said. 'The amount of any b"
Residents opposing construction of a 13-story building that was narrowly approved by Ridgeland aldermen earlier this month have filed an appeal challenging the board's decision. The 200 Renaissance office building, part of a mixed-use development near Highland Colony Parkway and I-55, has been a point of conflict in the city for several months. Residents for and against the project have formed groups, started blogs and circulated petitions. The appeal was filed late Friday afternoon, the last day an appeal could be filed. But it will not slow developer Buster Bailey's plans for the project, said Stewart Speed, president of Colony Properties, an H.C. Bailey company. "The appeal was entirely expected, and we plan to proceed with our building plans because we are confident that we will win the appeal," Speed said. After a public hearing earlier this month that lasted six hours and stretched past 1 a.m., aldermen voted 4-3 in favor of a height exception that was needed because structures in the area are limited to four stories. Bailey, who could not be reached for comment Friday afternoon, has said he expects construction to take about two years and that the building needs to be completed for tenants by October 2009. The project has drawn commitments from three major firms: the Butler Snow law firm, Horne CPA and an unnamed third tenant believed to be Regions Bank. Lawson Hester, a Dinsmor resident who has been a vocal opponent of the building, said several of the 33 people listed as petitioners on the appeal live in Old Agency Village, the subdivision nearest the building. The list also includes representatives from each of the other subdivisions near the building, as well as Ridgeland residents living east of the interstate, he said. "There were many more people who volunteered to be appellants in this case, but we think we have a good representation with these," said Hester, a lawyer. While nothing has been set, Hester said he expects a court hearing to be held sometime in December or January. Ward 5 Alderman Scott Jones, who made the motion to approve the developer's request, said he does not think a judge will rule in favor of the appeal. Jones carefully worded the motion - citing all 15 criteria for a variance listed in the city's zoning ordinance - to ensure its legality, he said. "We did everything we could possibly do to make it as defensible as possible," he said. While the project did gain the city's approval, aldermen have asked that changes be made to the building's design. "It was asked that they change the building skin to be more in character with the rest of the development," Jones said. The architects are working on the modifications to the building's exterior and could have new plans in about three weeks, Speed said. "There are some things they will be able to change without making major structural changes," said Jones, who works as a structural draftsman. Speed said work on the new plans is proceeding. "(Some aldermen) felt that the architecture was incompatible with the area," he said. "We didn't feel that way, but we are working on it." The building's modern scheme, in juxtaposition to surrounding developments, was one issue brought up repeatedly by residents who opposed it. The main arguments that will be presented in the appeal focus on zoning requirements for the property, Hester said. The 200 Renaissance site is zoned C4, or highway commercial district. In addition to the height restriction, the zoning class puts limits on the ratio of a building's size versus the size of the property. "They have approved an allowance of an excessive number of square feet for the available land," Hester said. "There is no means in which that can lawfully be approved." Hester also said he thinks that aldermen voted on the request without examining all of the evidence presented or the testimony given at the hearing. "The evidence was not properly considered," he said. Other arguments that have been made include that the building goes against the character of the area. There are 72 buildings on Highland Colony Parkway that are four stories or fewer. The first building to deviate from that was another Renaissance structure - the eight-story Cellular South building recently completed. Aldermen approved a height exception for it in 2005 with little opposition from residents. "No one else has ever sought the board's approval to build over four stories," Jones said. "The first one, Cellular South, was approved." During the public hearing, Hester argued that another law firm, Copeland, Cook, Taylor & Bush, has its attorneys in several buildings on the parkway because they are not more than four stories. Jones said all of the city's requests are judged on a case-by-case basis and that aldermen weigh the benefits to the city. "If Copeland Cook had asked five years ago, when they were the first building in Ridgeland, if they could be in a taller building, there's probably a good chance it would have been approved," Jones said. "They didn't ask us." Jones said he thinks most of the city's residents are ready to move past the issue. This is a rendering of the 13-story proposed building (200 Renaissance) that will house the employees of Butler Snow law firm, the Horne CPA Group and a Fortune 500 company. The building was originally designed to be 17 stories. Ridgeland aldermen approved developer H.C. “Buster” Bailey’s petition to build 200 Renaissance west of I-55 and Steed Road. The vote came at the end of a six-and-a-half hour public hearing stretching from late Wednesday to early this morning. Hundreds of people packed into the Ridgeland High Cafetorium to hear more than five hours of “expert” and public comment preceding the vote. Following comments, Community Development Director Alan Hart recommended the petition be approved. After consulting City Attorney Jerry Mills, the mayor and aldermen followed with an executive session, saying the matter was grounds for potential litigation. It was about 1 a.m. before the Board of Aldermen returned and voted 4-3 in favor of the developer. The 13-story office building, 200 Renaissance, will house the employees of Butler, Snow, O’Mara, Stevens & Cannada law firm, the Horne CPA Group and a Fortune 500 company. The land the building is proposed for is zoned for buildings four stories tall or less. Bailey said construction is to start immediately because the tenants will be moving in during the fall of 2009. After executive session, Alderman Scott Jones initiated a motion to approve the petition, citing it met 15 criteria as required by the city ordinances. Alderman Chuck Gautier seconded Jones’ motion. Jones, Gautier and Aldermen Larry Roberts and Linda Davis voted for the petition. Aldermen Ken Heard, Gerald Steen and Kevin Holder voted against it. Zoning Ordinances Need Enforcement, a group that formed in opposition of the building, had voiced concerns about the building’s proposed height and potential to cause traffic jams. Some members said they wondered if they could trust their city leaders to enforce the zoning ordinances. Go Ridgeland, a group of residents who have publicly offered support for the building, maintain the building will bring millions of dollars, prestige and upscale tenants into the city and the state. Mills has said Attorney Steve Smith, who represents ZONE, may appeal the decision in Madison County Circuit Court. The Circuit Court decision would be based on the record of the mayor and aldermen public hearing, he said. If either party is dissatisfied with the court decision, the case could then go to the Court of Appeals and possibly the Mississippi Supreme Court. An appeal and intent to file a bill of exceptions must be presented to the court within 10 days of the public hearing, Smith said. The minutes of the Sept. 10 Planning and Zoning Board public hearing were added to the record of the mayor and aldermen hearing. The zoning board failed to recommend the mayor and aldermen approve or deny the petition. I'm writing to voice my support for the proposed 13-story building, 200 Renaissance. I have owned and operated a Ridgeland-based company for 22 years. I have also been a resident of Dinsmor for 10 years. Developments like this are critical to our economic future. The proposed tenants of this building are certainly top-notch firms, but their mere re-location from Jackson to Ridgeland doesn't represent any significant net economic growth. However, the entire Renaissance development, including the proposed building, will serve as an overall investment catalyst for economic expansion. More importantly, it's the first step towards attracting corporate headquarters to our area - not just remote branches and factories of organizations that are based in other states or other countries, although such facilities contribute to the draw of the area. To my many friends that live in the surrounding neighborhoods that oppose this building, I am sensitive to and respect your position. I know you are sincere and have legitimate reasons for opposing this. But I really think there are two other parties that need to be considered in this issue. First, consider the developers of the residential areas where folks live that object. Why did they build these neighborhoods so close to the Interstate and more importantly, interchanges? When they built these subdivisions, I-55 was not the major thoroughfare that it is today, linking the explosive growth in south Madison County with downtown Jackson and other areas. Ridgeland was actually still the outskirts of the metro area. Second, as homebuyers, what were we thinking? What did we expect? That this suburban area of the largest and capital city of our state would not expand and grow? It's right on a major interchange on the most traveled highway in our state for heaven's sake! Additionally, there's just something about reasonable building height, and I think 13 or 17 stories is reasonable, that sends a powerful economic message to investors and other corporate and business suitors. It has a look of permanency, and stability - not speculation and lack of commitment. When you see an attractive structure like this in the distance, you know that good things are going on in the area. It gives people confidence that this is a good place to live and work. I'm confident that Ridgeland's leaders understand this and will act accordingly, as they always have in the past. I thank them for their service to our community. Does TIF allow the developer to avoid taxes on the development? TIF does not lessen taxes the development pays. Are school taxes diminished by TIF? No. State law forbids it. Where does the TIF money go? TIF bonds fund infrastructure such as additional traffic lanes, walking trails, parking, street lighting, landscaping, culverts, water management and underground utilities. How are the bonds re-paid? Bonds are not re-paid with existing tax dollars; they are re-paid by new taxes assessed on the development. The TIF does not decrease existing tax revenues; it uses new tax revenues generated by adding property to the tax rolls. Will deleting parking from under the building increase the amount of TIF bonds or financially benefit me? The TIF pan is unrelated to whether parking is under the building, as in the original 17-story proposal; or beside the building, as in the 13-story compromise offer. Is the TIF plan a part of the current controversy? The TIF plan was approved unanimously - three years ago - by both Ridgeland and Madison County. It is no part of the current request for a zoning variance. Will tenants leave Northpark for Renaissance? Tenants who desire to leave Northpark have alternatives in other communities. If an alternative is not available in Ridgeland, they can leave for other communities. Does Zoning Code C-3 forbid the variance? The building will lie entirely within Zone C-4. Zone C-4 clearly permits a variance. Am I requesting some illegality? I'm complying with the law by requesting a variance under the zoning code. Variance provisions are just as much a part of the Code as any other provision. Residents who charge that city officials cannot be trusted to fairly apply city ordinances ignore a 20-year history of good municipal government. Is it "right" to attract Jackson tenants to Ridgeland? I am as concerned as anyone with the long-term health of the city of Jackson. However, I do not feel it my place to tell people where they may live and work. The men and women of the Butler Snow and Horne CPA firms are entitled to make the same decision that Ms. Clark did when she chose to move to Ridgeland. The basic principle behind TIF financing is that, in order to pay for upfront costs — usually infrastructure — the locality freezes the taxes at a site’s predevelopment levels and then uses the expected post-development increases in taxes as a revenue stream to finance a bond or loan, which then pays for the upfront (infrastructure) costs. There are, however, numerous variations on the theme. Please post comments regarding the Sept 10, 2007, P& Z Board hearing of the variance request presented by the developer. Comments with names, addresses and phone numbers carry more weight! Please indicate your opinion by answering poll question... to the right. Provide rational for your opposition to the proposed building. Click on "comments" below to read and post comments. Contact ZONE (Zoning Ordinances Need Enforcing). Please provide comments in support of the proposed building. Read and post comments by clicking on "comments" below. Send an email to the Mayor and Aldermen! Send an email to the Planning and Zoning Board! Let the local news reporters know that you support the proposed building! The construction of Northpark mall in the 1980s and a few upscale office buildings tucked away in the woods along E. County Line Road were just such an opportunity for Ridgeland, no doubt those projects in part making Madison County what it is today. Repeat, commercial development made Madison County what it is today because that development financed so much of the early growth. Ridgeland finds itself at just such a crossroads again, perhaps an even more significant one. That's why rushing to any judgment about the proposed $60 million, 13-story high-rise that will bring the state's largest and most prestigious law firm, among others, to a suburban campus setting along the Highland Colony Parkway is risky. Most business leaders recognize what an extremely good opportunity this is, how affluent areas of suburban Atlanta and Birmingham have prospered because of similar development. The arguments here are passionate on both sides, even highly emotional. But this can be a high and defining moment for Ridgeland, although it's a shame those who are appointed to make decisions can't seem to do so. After a marathon hearing on Monday night that lasted nearly four hours, the Ridgeland Planning and Zoning Board was unable to reach a consensus and won't make a recommendation to the Mayor and Board of Aldermen. Make a decision. Any decision. But don't be indecisive, especially when it matters most. Fearmongering has no place, yet it's rampant and obviously having an impact as Evil Developers are pitted against the Little Guy. Cooler, calmer and more reasonable heads must prevail as this issue moves to a vote before the Mayor and Board of Aldermen. In many ways, this vote is about the future of Madison County. What kind of development are we seeking? Massive call centers with 300 employees barely earning minimum wage or affluent professionals, the demographic any community would die for? Are we going to slam the gate shut and become part of the NIMBY (Not in My Backyard) crowd? If Ridgeland had taken the NIMBY position 15 years ago in the rolling meadows west of the interstate there would be no Dinsmor, no Canterbury, no Highland Colony and probably no Level 5 schools and a quality of life that is the envy of the state. Don't demonize the public officials. Mayor Gene F. McGee has forged the vision that is Ridgeland today, so portraying him as in the pocket of greedy developers simply isn't fair. It's dead wrong. The record will reflect that Ridgeland has been among the most protective of homeowners while maintaining a thriving pro-business environment. Few communities are even in the position of being able to take on such an exclusive project, but Ridgeland has the infrastructure in place. This prime, select office building is in Ridgeland's overall best interest and should be approved. I started just to drop you a note about the new office building being planned for the Renaissance development, but it turned into this much longer letter. I understand that this building has created some interest and controversy among some of the residents to the west of Highland Colony Parkway. I am very interested in this building for several reasons. First, I live less than a mile from the proposed building in the Hillview Subdivision on Richardson Road (Ward 1). We have lived there since 1993. I have a significant investment in my house, and I want to preserve that investment. Second, in the larger sense, I have been a citizen of Ridgeland, and I am interested in its continued growth and development. During your tenure as Mayor and with the leadership of our Board of Aldermen, Ridgeland has grown and prospered. I was impressed with your vision for Ridgeland as expressed in the two Master Planning sessions that the City recently conducted. Finally, I am a member of the Butler Snow law firm, a tenant in the new building, so I have an interest in the building from that perspective as well. Permit me to share my thoughts with you (and, by copy of this letter each of our Aldermen) about this building and the requested height variance. I believe the City should set aside some of the emotional reactions that this request has generated to examine the facts related to the following issues. If it does, I believe it will grant the requested variance. 1. Effect on Residential Property Values. I believe that this building will help - not hurt - surrounding property values. The addition of hundreds of highly paid professionals and executives who want to live near their office will only increase demand for homes in this area. There are at least three examples from neighboring states of this combination - the Mountain Brook, Alabama area (south of Birmingham) and the Cool Springs area near Franklin Tennessee (just south of Nashville) which just attracted Verizon Wireless to build a $54 million regional headquarters facility, and the area on the perimeter in north Atlanta. 2. Quality of the Building. This building has been designed by Cooper Carry, a recognized architectural firm from Atlanta, in association with Dale and Associates of Jackson. It will be one of the most beautiful and prestigious buildings in the state of Mississippi. It also will be a state-of-the art building and the only building of its size in the state of Mississippi that has been certified as a LEED (Leadership in Energy and Environmental Design) green" building. The LEED Green Building Rating System is the nationally accepted benchmark for the design, construction and operation of high performance "green" buildings. LEED promotes a whole-building approach to sustainability by recognizing performance in five key areas of human and environmental health: sustainable site development, water savings, energy efficiency, materials selection and indoor environmental quality. This is a very special building that will help bring positive recognition to Ridgeland and help Ridgeland attract the kind of business and professional persons it wants to attract. 3. Quality of Tenants. Related to the impact on residential values one cannot overlook that the Developer has been successful in securing agreements from two outstanding professional service firms (and perhaps the state headquarters of a Fortune 100 company) to occupy the building. These professionals and executives and their employees will be attracted to living, as well as working, in Ridgeland and to devote their civic energies to furthering the interest of Ridgeland. Thus, this building will provide multiple benefits to the City of Ridgeland and to the communities surrounding this development - directly and indirectly, objectively and subjectively, economically and civically. 4. Traffic. While this building will add some traffic to Renaissance, it will not be a substantial amount, and the impact of this building on traffic will be negligible compared to the traffic at the shops and restaurants at Renaissance. Additionally, the hours of the traffc at this building housing professional services firms will complement the hours for the remainder of Renaissance. Finally, this building will be located directly adjacent to I-55 to take advantage of the new frontage road and the new interchange, a portion of which is already under construction. These improvements were implemented with the development of Renaissance in mind, and they will improve traffic flow in and around Old Agency Road and Highland Colony Parkway. 5. Height of Building. Although this building will be taller than the Cellular South building, it is adjacent to the interstate highway, not toward adjacent to or west of Highland Colony Parkway. This building will be an attractive barrier to the interstate and help insulate the neighborhoods to the west. It will be a positive influence, rather than a negative one, for the residential and other commercial development west of the interstate. The new building, although taller than the Cellular South building, will be further to the east and probably less visible to those living west of Highland Colony than the Cellular South building. 6. Location of the Building. As you know, this building will be located directly adjacent to I-55 at the intersection of the new frontage road and Steed Road. At that location, it actually will serve as a buffer to the neighborhoods to the west, including mine. It is appropriately placed as the easternmost office building in the Renaissance development. If it were placed west of Highland Colony, or even where the Merrill Lynch building is located, these issues would be more relevant. 7. Tax Base and Economic Activity. The building will add approximately $60 million to the property tax base of Ridgeland. Secondary effects from sales taxes at area shops and restaurants from those working in or visiting the building also will generate sales tax revenue for the City. As much as Ridgeland needs to continue to develop quality subdivisions and increase the percentage of single-family residences in comparison to multi-family residences, it also needs high-end commercial developments. Unlike residential development, a Class "A" office building pays more in taxes than it consumes in city services. This positive impact makes possible better roads better schools and better city services for all Ridgeland residents. 8. Ridgeland’s Future. Most cities would work very hard to have a 17-story state-of-the-art building built within their limits. As I mentioned earlier, the City of Franklin (Tennessee) recently attracted the headquarters of Verizon (much to the chagrin of Nashville) in large measure because Franklin recognized and appreciated the positive benefits for having an upscale office building. A denial of the requested variance will sends a message to area developers and businesses that Ridgeland is unwilling to take the necessary steps to attract these kinds of businesses to their community and to take the necessary steps to bring continued economic growth and prosperity. If this variance is denied, Ridgeland runs the risk of negative repercussions for years to come. This would undercut Ridgeland's slogan that it is "Open for Business. 9. Precedent. This is the last location remaining to be developed in Renaissance. This building will fit nicely with the other offce buildings and the hotel that have been built or are planned for the Renaissance. Furthermore there are few, if any, remaining spots along Highland Colony north of Steed Road to be developed in the City of Ridgeland. Because this is a unique situation involving the largest law firm and accounting firm in the state , it is unlikely that there will be a flood of developers requesting to have another Class "A" building of a similar height to be built. Finally, because this is a request for a Special Exception and not a zoning change, and the facts of this case are unique, no precedent is being set. As you know, Butler Snow s commitment over a year ago to move its offices to Ridgeland to be in the Renaissance development was a major decision for our law firm. We paid a price when we decided to leave downtown Jackson to come to Ridgeland. While we have received some negative media coverage for that decision, we stil believe that decision was in the best interest of our firm and our clients. 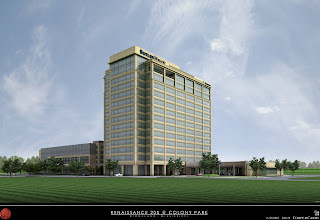 We hope the City of Ridgeland will take such steps as are necessary to help us realize the benefits we saw in moving our offces to this first-class office building in the Renaissance development. For all of these reasons, I urge the City, through you and the Board of Aldermen, to approve the requested height variance for this new building. Do you agree with the Hyatt Place Motel proposed height? Do you agree with the City's APPROVAL of the RENAISSANCE PLANS? Q. Why couldn't the developer choose to build a 8 story property of the same class and statement for Ridgeland? If he has tenants lined up to fill up the entire 17 floors- isn't there plenty of land available along Highland Colony to construct 2 or 3 buildings instead of building it all in one? These cream of the crop tenants all want to be at Renaissance........south of Steed.......so their employees can walk, not drive, to lunch, shopping, hotel, entertainment.......all at Renaissance retail. Plus, they all want to be together, all want to be in a prominent building, and all have a move-in timeframe that's similar (end of '09). And, because of their caliber, we WANT TO ACCOMMODATE THEM.........for the good of the community, Ridgeland and Colony Park. All of this, plus this is smart growth/good design. It's pedestrian friendly, it helps the environment (less pollution and gas consumption), kills fewer trees, calls for less infrastructure, doesn't spread traffic up and down the Parkway.........etc! There is no more footprint room at the existing site for additional buildings..
Hope this helps! Bottom-line: This will be the biggest positive thing to happen to Ridgeland, our property values and our schools in the last 20 years or so. CL - Development: Suburbs to sprout skyscrapers?